Bianca BujanI squint as the sun peers through the distant trees. The light reflects off the pools of water that carve into the muddy farmland and spread toward the horizon, beaming from below the lanai on which I sit. 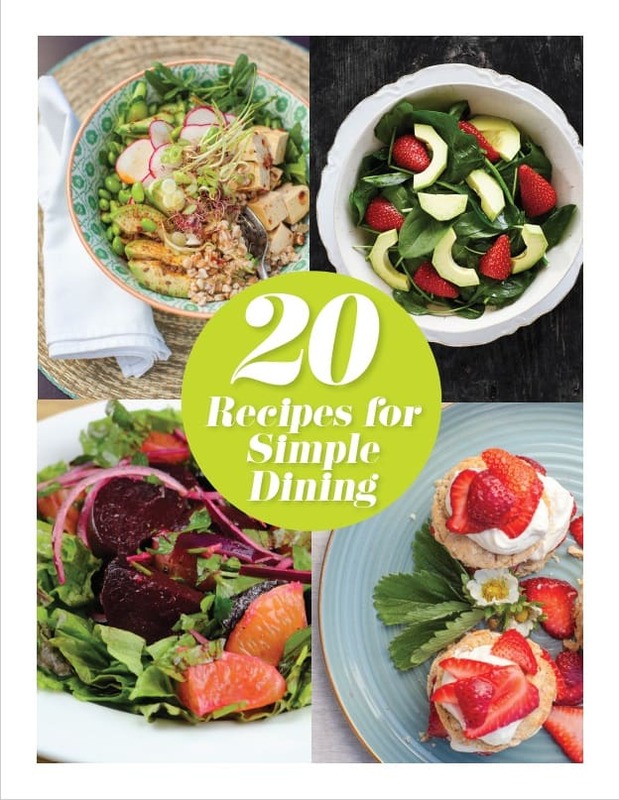 With dirt on my feet, a smile on my face and a healthy appetite, I sit patiently, waiting for the first dish of a seven-course meal to arrive. I’ve just picked fresh breadfruit and bananas from the farm’s sprawling orchards and plucked oysters from the freshwater pond alongside the site’s resident “Oyster Maiden”. I netted shrimp with the local aquaculturist, and strolled past grass-grazing cattle. Now, after learning all about how it was grown, harvested, shucked and prepared, I am about to enjoy a feast, made using the farm-fresh ingredients that I discovered along the way. 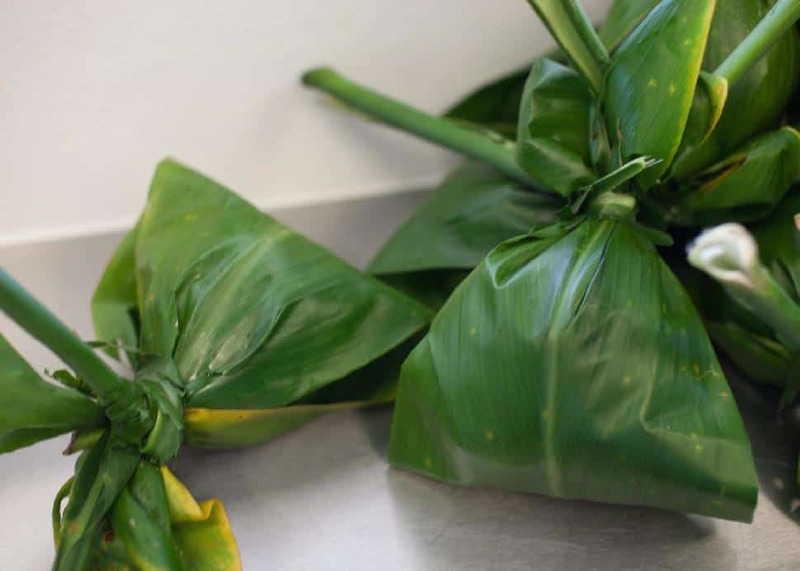 This is just a taste of what you can expect from the culinary scene on the island of Oahu, where you can sample seafood with the island’s only "Fish Sommelier", cook alongside a Caribbean celebrity chef, and nosh on traditional Hawaiian dishes, made using the freshest ingredients and harvested locally. Hau Tree Lanai RestaurantBegin your visit with breakfast on the beautiful, shady veranda of the Hau Tree Lanai Restaurant that sits at the edge of San Souci Beach (which suitably translates to "carefree" in French). While only steps from the bustling corridor of Waikiki’s main strip, this spot is quiet and quaint. 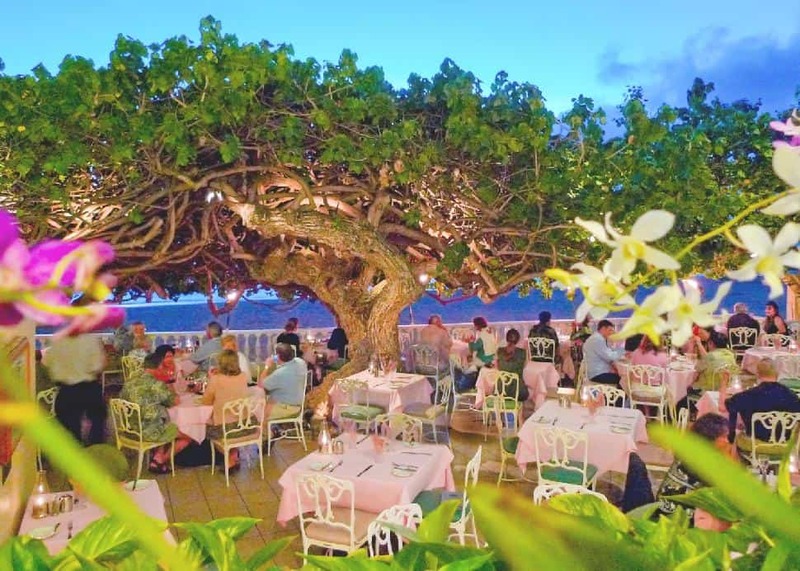 Sit under the canopy of the Hau tree—with its thick and winding roots growing out of the lanai on which you dine—and enjoy a hearty breakfast while listening to the chirping birds that sit perched on the tree’s branches. If you’re looking to dive right into a local dish, try the Loco Moco (identified as an “Islanders Choice”), which is prepared using a unique combination of corned beef hash and cutlet of ground chuck and pork sausage, served on a bed of Tamaki Gold rice, and topped with an egg and mushroom gravy. If you’d prefer a more common breakfast, their eggs bennies are a must-try. Highway InnFor authentic Hawaiian dishes that locals love, head to Highway Inn for lunch or dinner. Since 1947, Highway Inn has been providing a taste of old Hawaii, through perfectly-prepared dishes featuring Poi (the go-to Polynesian starch and a staple dish for islanders, made from the root of the taro plant), Loco Moco, and local favourites like the iconic Lau Lau dish, which showcases pork or chicken wrapped and steamed in taro leaves (and was highlighted in an episode of Diners, Drive-Ins and Dives earlier this year). If you’re looking for an authentic meal on-the-go, head to Hawaii’s Favorite Kitchens, a one-stop shop for authentic Hawaiian cuisine, where you can find food offerings from the island’s favourite dining spots, all under one roof. From the perfect poke (prepared using a unique mix of Japanese preparation spices) to the traditional Hawaiian plate lunch (loved by local surfers looking to fuel up before hitting the waves) to the best, melt-in-your-mouth shaved ice, made using a top-of-the-line grinder from Japan, this spot is a favourite amongst locals, and a must-try for visitors looking for an authentic Hawaiian meal. Kualoa Private Nature ReserveThanks to the brand new Farm To Table Culinary Experience tour offered at the Kualoa Private Nature Reserve in Kaʻaʻawa, guests can enjoy a hands-on farm experience with the locals who pick and prepare some of the island’s best ingredients, and then nosh on a seven-course meal prepared using the fresh ingredients grown and harvested on the farm. Talk seafood with Kuipo McCarty, resident “Oyster Maiden” who harvests, plucks and shucks the best oysters on the island from Moli’i Fishpond, an 800-year-old fishpond (and one of the largest fishponds found in Hawaii). 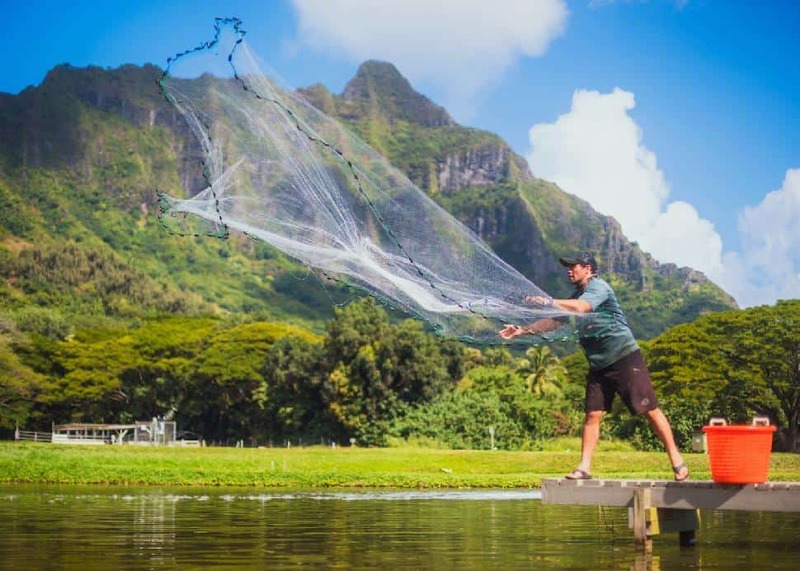 Learn how to throw nets and catch fresh shrimp with Jason Hui, an aquaculture technician who has perfected the craft of the catch, then crack and sample freshly-picked cacao nuts, breadfruit and bananas while strolling through the fruit orchards of the farm. Finally, dine on delicacies while gazing at the farm’s breathtaking views from the lanai of an on-site farmhouse. Bianca BujanHome to the island’s only known “Fish Sommelier”, Mina’s Fish House—located at the Four Seasons Resort Oahu at Ko Olina—provides guests a truly unique line-to-table seafood dining experience. With award-winning Chef Mina at the helm, diners can embark on a “whole fish experience”, learning about the island’s fish selections, and enjoying a custom-selected whole fish catch as it’s prepared tableside. Another Four Seasons based food find is La Hiki Kitchen, where celebrity Caribbean chef Simeon Hall (once the personal chef for the Marley family) hosts engaging and educational face-to-face cooking demonstrations, explaining his farm-fresh “social gastronomy” cooking techniques, and his commitment to connect community and environment through his mouth-watering culinary creations. The menu is ever-changing (Chef Hall likes to let the local farm offerings guide his menu), so be sure to ask what the chef recommends before you order. Chef MavroWrap up your Oahu visit with a must-try meal at Chef Mavro, the only independently owned restaurant in Hawaii to earn the 2018 American Automobile Association's five-diamond status (after receiving the same honour every year since 2008). While the ambiance is welcoming and casual, the level of sophistication behind the farm-sourced, French-inspired food is of the highest fine-dining quality. 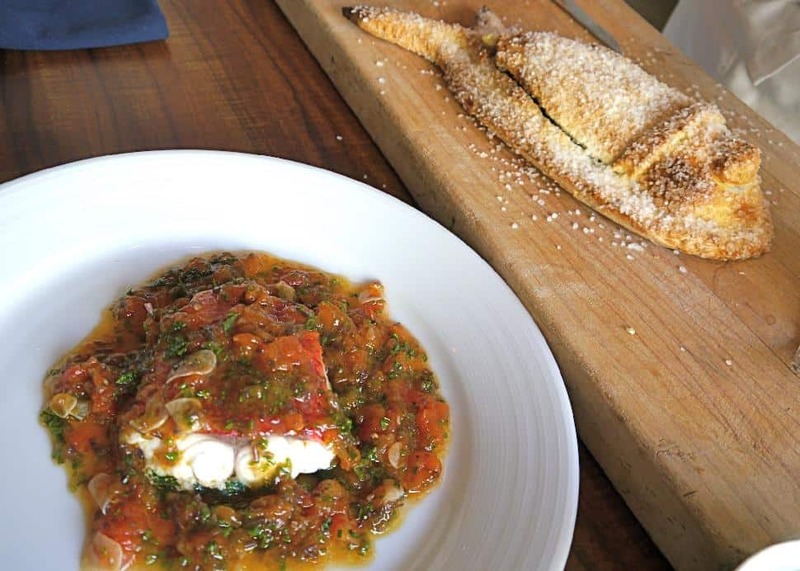 Be sure to order the catch of the day (fish purchased fresh directly from the Honolulu Fish Auction), and—when available—the Onaga (fish) baked in a salt crust with longtail snapper in a tomato-ogo sauce vierge. 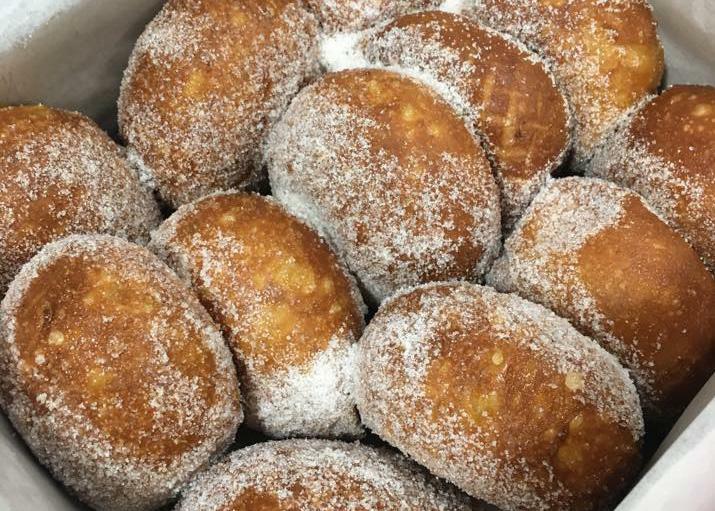 Facebook/Leonard's BakerySince 1952, Leonard’s Bakery has been the go-to spot for malasadas, which are soft, warm, gooey Portuguese hole-less doughnuts, made fresh throughout the day. While they’re not traditional Hawaiian sweets, Oahu locals have a huge appetite for the tasty treats. Just make sure you get there early! Four SeasonsFor a casual, family-friendly spot that is both steps from the shops on the main Waikiki strip, and adjacent to large grassy parks and stretches of sandy beaches, the New Otani Kaimana Beach Hotel is your best pick. 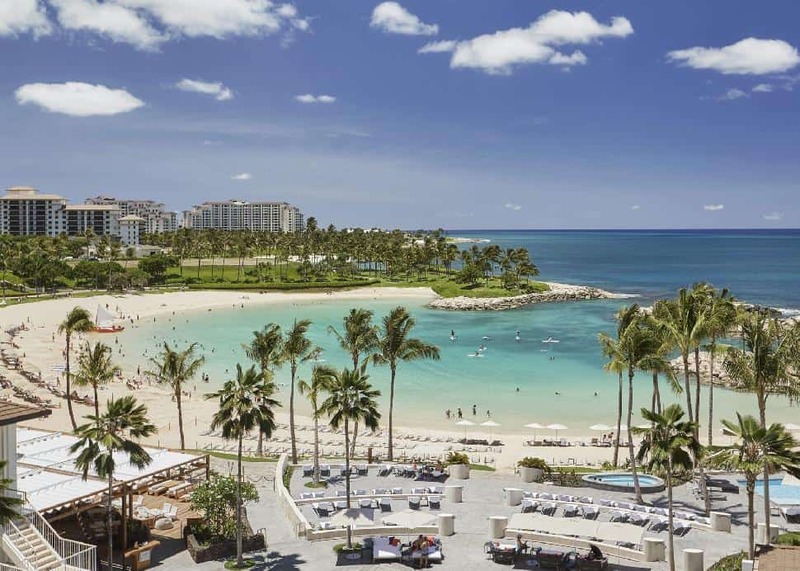 For waterfront luxury on Oahu’s sunny west coast, opt for the Four Seasons Resort Oahu at Ko Olina, featuring five-star dining, culturally-immersive programming fit for the whole family, and spacious, sun-drenched rooms plus a walk-in lagoon beach pool.